neymar and mbappe shiating their pants liao. Neymar, mbappe and cavani vs young, smalling and darmian. Thomas tuchel better pray for a miracle. Aggregate over two legs. Neymar and Mbappe hattrick heroes. PSG was JM's next dream club to manage. Beating them will improve his CV to get his dream job. 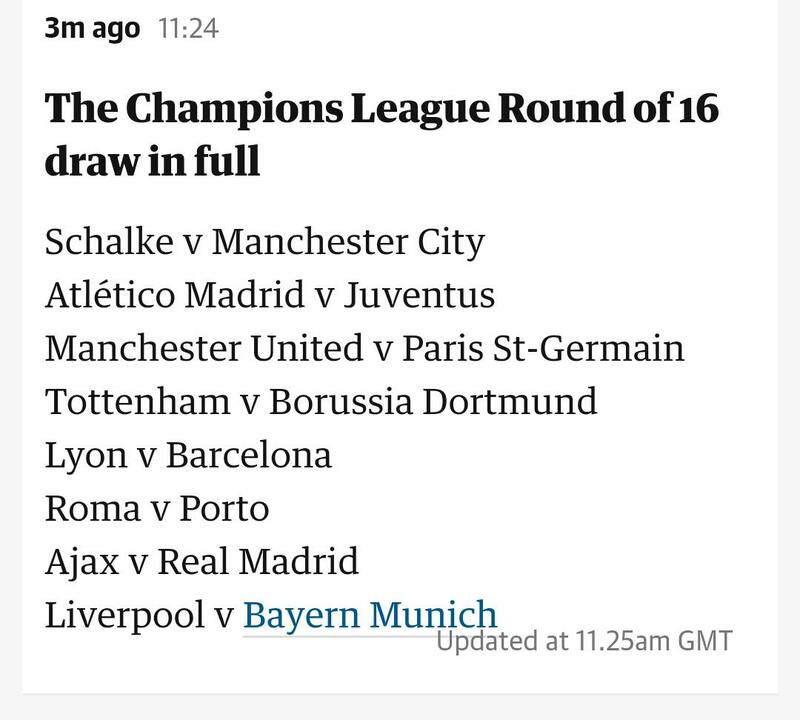 Nice draw! After PSG, bring on RM/Barcelona/ManCity !!! Among all the teams in ucl, I really hate psg. the board will convince themselves that Jose will win the UCL so there is still a way out to be in Europe next season. sack simi? Sack manager and then hire who to manage. Even the best manager cannot make this group of players play their hearts out for United. Doesn't matter, its up to the manager to make the whole team play for him and the club, regardless his signing or not. Was Fellaini, Shaw, Jones, Smalling, Young his signings? Not sure, just curious cause some ppl say pogba not his signing. So wondering abt sanchez. Got so suay or not?